Welcome to the show notes for the very first episode of my podcast, Clean Eating for Women. Episode #1 is an overview of who the podcast is for and what I hope to achieve. 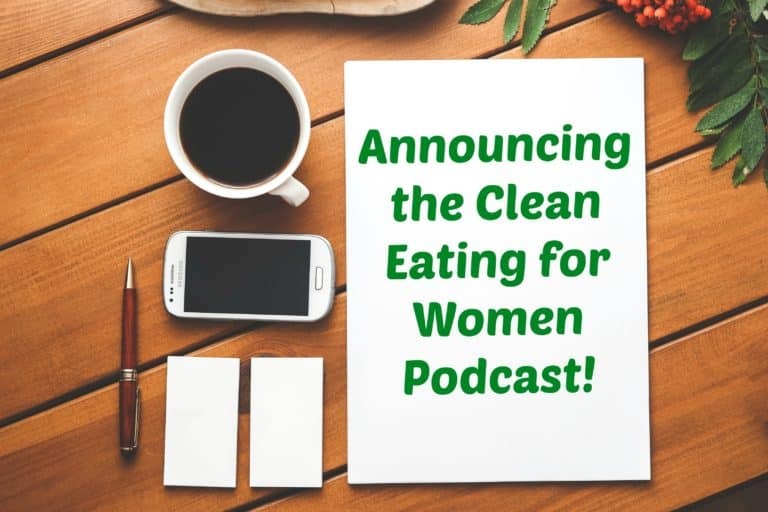 I’m beyond thrilled to announce the launch of the Clean Eating for Women Podcast!!! Topics we’ll cover. From hormones to diet to digestion, we’ll talk about it all. I’m bringing both my education and my experience to the table, as well as planning interviews with health experts. My journey. I give a little intro about me and some of the health issues I’ve overcome and still manage with diet and lifestyle. What does holistic health even mean? 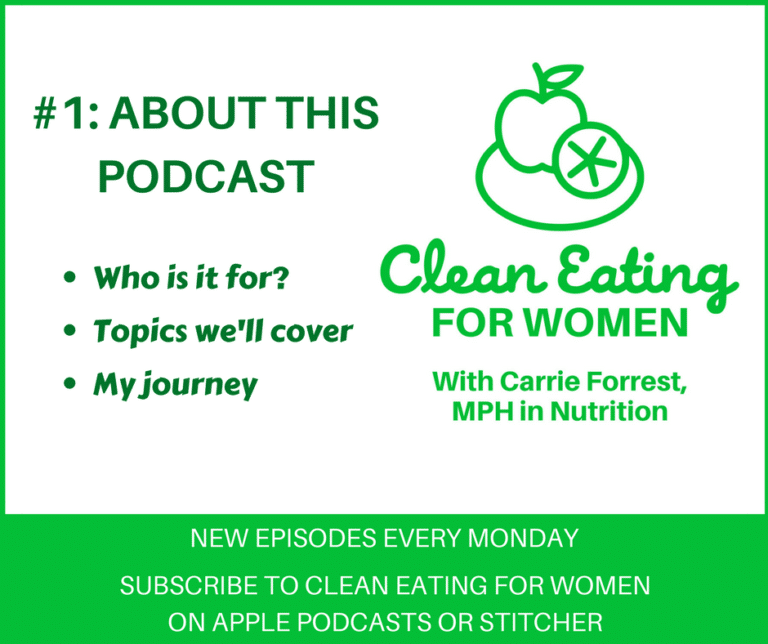 What makes this podcast different from other women’s health or diet podcasts? Since this is launch week for my podcast, I’ll be sharing show notes, giveaways, and updates several times this week. Starting next week, one new episode will be released every Monday. Thanks, Amber!!!! I’m a weird mix of excited and nervous. I’m loving the challenge and possibility to connect with people in this new format, though. XOXO. Congrats Carrie on your podcast launch! Great podcast! I’m glad that you have found your voice and are sharing your knowledge and life experiences with others. Thanks, Janet!!! That’s exactly what it feels like, as if I’ve found my voice and my mission. Yay! I love being your friend; you inspire me with your positivity and generosity and adventurous spirit. XOXOXOXO. Yay Carrie! I was thinking of you this morning when I used my Now Magnesium spray and here you are with your very own podcast! I enjoyed it and don’t subscribe to others yet but have listened to some. Thank you for addressing spirituality since my faith colors absolutely everything I do and couldn’t imagine getting through this life without it. I share your hatred of all things laundry too! Let me know if you found any way to make it less of a drudgery! I’m doing less and less of the Facebook thing these days but will join the group and contribute to this great little growing community! Thanks, Deb!!! So glad you like the magnesium spray. I love the flakes! I’m so appreciative that you listened to my podcast. I was so nervous, ha ha! I forgot that I talked about how much I detest folding laundry. Honestly, that’s when I listen to one of my fav podcasts so it’s not so bad anymore. I’ll look forward to connecting with you on FB or here on my blog. XOXO.